There is no escaping the fact that this phrase is omnipresent in the stuff we use every day. Take apart your overpriced Apple iPhone and you’ll see these words on all of its major components. Underneath your Samsung OLED TV is a sticker proudly indicating its place of manufacture in English and French. Heck, even my Japan-built Subaru daily-driver probably has OEM parts made in the People’s Republic. No matter how much we try to buy items which we think isn’t built or assembled in China, we just can’t. The country’s influence and handiwork are everywhere. And if the Chinese can make anything from gadgets and food processors to commuter trains and attack submarines, they can just as well produce our next family vehicle. This is why the Chinese automobile is only going to get more commonplace in our country. A huge discrepancy in labor rates coupled with favorable tax discounts now makes importing cars from China a sound financial decisionfor Philippine-based car companies. And it doesn’t even have to be the Chinese homegrown (and weird-sounding) brands that supply these vehicles. It could well be a well-known European automaker that just happens to source its inventory from its production facility in China. Such is the case with the state-owned SAIC Motor (previously spelled out as Shanghai Automotive Industry Corporation). In partnership with foreign companies like the Volkswagen Group and General Motors, SAIC makes vehicles in China for brands under these automotive conglomerates, such as Volkswagen, Skoda, Chevrolet and Buick. Aside from these joint ventures, SAIC also has its own automotive division that manages historic British carmaker MG and domestic luxury brand Roewe. SAIC then knows a thing or two about building reliable and desirable cars. And these cars are not only destined for the home market. In May last year, Volkswagen Philippines launched its Santana subcompact sedan. Priced at a very competitive P686,000, it arrived on our shores spoiling for a fight with the more established contenders in its segment. This is a car with a European badge but with a clearly Asian price tag. How? It is built by SAIC. We were recently invited by MG Philippines to join SAIC’s Philippine media tour in China. We got the chance to visit the Shanghainese firm’s research-and-development centers and production facilities, and ultimately experience the products from its MG and Roewe brands. Back in October, Chevrolet importer The Covenant Car Company Inc. (or simply TCCCI) took over the reins as MG’s new distributor in our market. 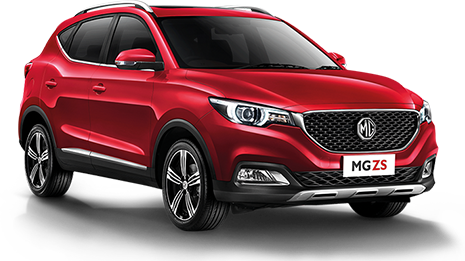 Under the new management, it is expected that the MG brand will gain a market footing by offering customers a revamped car lineup and a robust dealership network. The SAIC Roewe Intelligent Plaza in downtown Shanghai is a place where customers can experience the technological innovations that the company has to offer. Greeted by a bunch of humanoid robots that did everything but speak English, we immediately noticed a couple of Marvel X crossovers on the showroom floor. A couple of keen clients were giving the sleek SUV a once-over. In Shanghai, there is a healthy interest in vehicles powered by alternative sources of energy, and companies like SAIC are intent on getting a sizable slice of the Chinese domestic market for such cars. 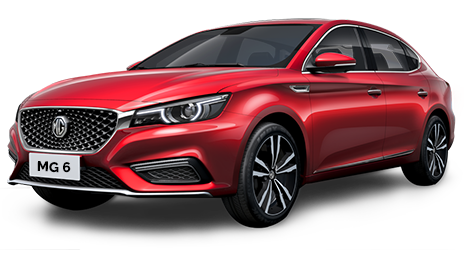 SAIC’s R&D center is the aptly called SAIC Motor Passenger Vehicle Company (SMPV) facility located in the Jiading District of Shanghai. It is the manufacturer’s sprawling hub that houses everything needed to test cars before they roll out to the showrooms. And as a former quality assurance analyst myself, I now actually think that the testing they do here is quite comprehensive. They have an enormous insulated room that is so sensitive to minute spikes in sound levels that a pin drop can easily be heard. They have machines that can shake chassis and suspension systems all day long just to test the breaking points of various components. They even have a large wind tunnel that can spray a fine mist of freezing rain to simulate highway driving conditions in a snowstorm. Also within the confines of the SMPV compound is the SAIC Design Center. Making a great first impression to a potential customer is certainly something SAIC aims to achieve. The organization has invested heavily in a digital design process that reduces development times and allows designers to continuously tweak and revise concept drawings. This has paid dividends for SAIC as several MG products have been segment leaders and front-runners in several overseas markets, most notably the ZS crossover in Thailand, thanks to its sharp (if a little too Mazda-esque) styling and high-tech features like the i-Smart software that lets the ZS seamlessly connect with other cars using the infotainment system. SAIC’s Lingang automobile plant is teeming with cutting-edge systems and processes that enable the vehicle manufacturer to be efficient and adaptable to the ever-changing needs of both the local and export markets. Parts are delivered to different sections of the assembly line by autonomous vehicles. The assembly line itself is divided into stages and is constantly moving at a manageable pace. By timing the parts cart to crawl in sync with the vehicle conveyor, workers can systematically fit components onto the bare chassis and avoid unnecessary stoppages to the moving line. Our track day at the Shanghai Tianma Circuit allowed us to probe the limits of a selection of MG and Roewe models. We had a go on the skid pad and the racetrack to test each car’s handling characteristics. 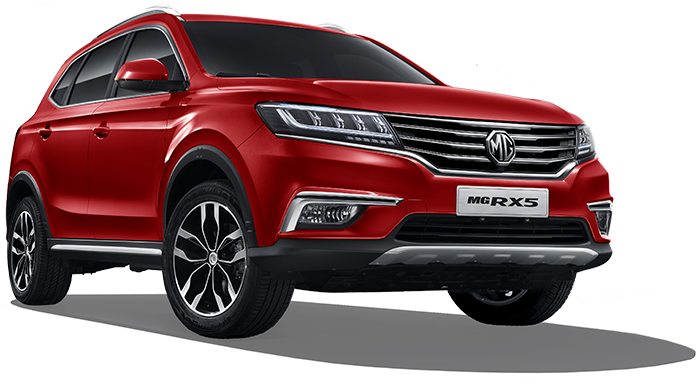 I was fortunately able to sample the entire lineup on offer—from Roewe’s Marvel X to MG’s eMG6 plug-in hybrid. Overall, I thought that they were all solidly built and had predictable on-road demeanor even when driven on the limit. And while the Marvel X was the star in the selection, it was the Roewe Ei5 full-electric station wagon that really stood out. I can understand the average Filipino’s aversion to vehicles (and most other stuff) made in China. A car is one of the biggest purchases that a household can make, so consumers tend to play it safe with established brands. But after being exposed to SAIC’s world-class operations, I can honestly say that ownership of a Chinese car today need not be fraught with the fear of the unknown. If SAIC’s success in certain export markets is anything to go by, cars from the Red Country are now worth a look.